Holy basil isn’t your average supermarket basil. This sacred Hindu herb is slightly more peppery in flavor than Italian basil, not to mention there are a host of holy basil benefits (backed by experts!) that run-of-the-mill basil just doesn&apos;t have. What is Holy Basil (aka Tulsi)? It hails from the Indian subcontinent, though it is now commonly grown throughout the Southeast Asian tropics. It is a subshrub with green or purple leaves that are very strong in aroma; Nace describes them as pungent, bitter, and warming. Holy basil, as its name suggests, is an important spiritual herb in India. “Holy basil is one of the most sacred plants in India and has incredible significance, spiritually and health wise,” explains Michelle Polk acupuncturist, herbalist, and founder of Houseplant Girl. But along with its spiritual attributes, holy basil is also an important herb for health. 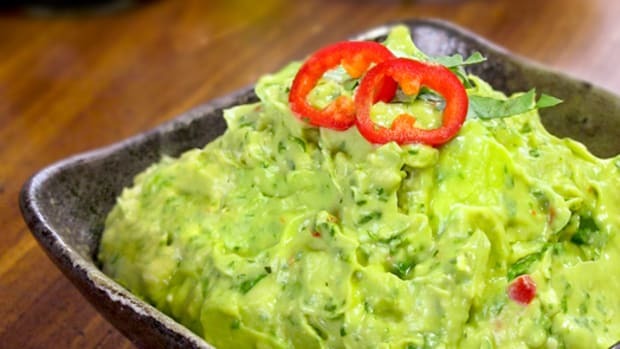 “It is classified as an adaptogenic herb, which means it helps restore our bodies to a more balanced state, especially during times of stress,” explains Tory Tedrow, RD, CNSC for ContentChecked. 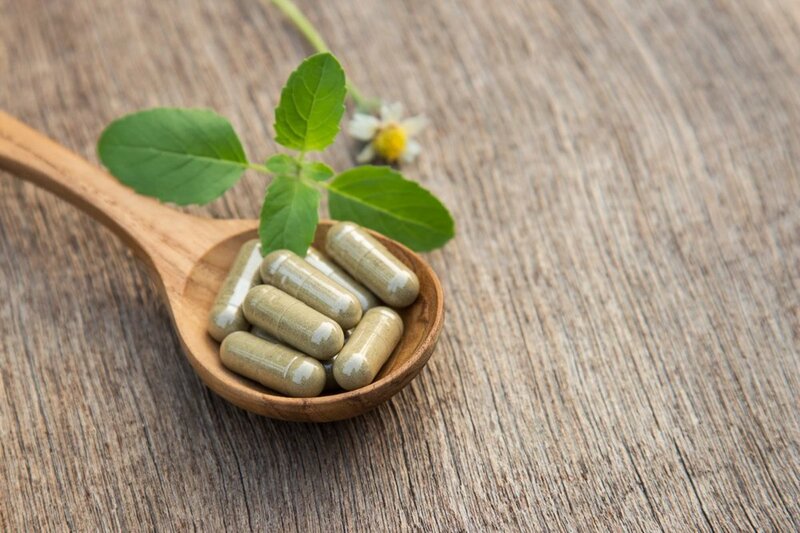 According to Dr. Frank Lipman, these adaptogens are crucial for improving the adrenal system, which is responsible for the body’s hormonal reaction to stress. According to chef and nutritional expert Lauren Feingold, this practice can even promote a sound mind and body. It’s no surprise, then, that there are quite a few holy basil benefits. 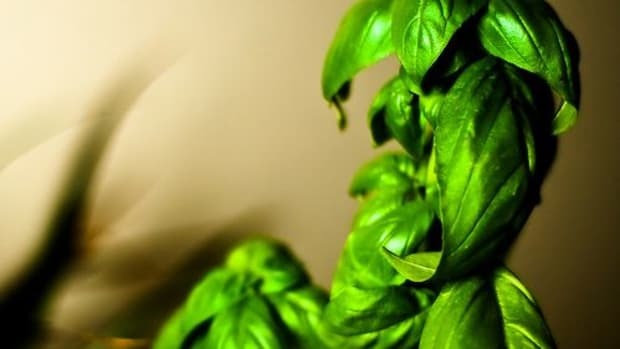 Consuming holy basil can help your body boost its own antioxidant activity, which slows DNA damage and aging, and decreases cancer risk, according to a 2007 study in the Journal of Agricultural and Food Chemistry. Dr. Axe, backed up by research in the journal Nutrition and Cancer, claims that holy basil’s anti-inflammatory and immune-boosting properties are the key to its anti-carcinogenic qualities. “People who regularly consume tulsi are less likely to be immune-compromised and are less susceptible to developing cancer cells,” he writes. Antioxidants work by neutralizing free radicals, something that must be done constantly to feel the effects: at least daily. 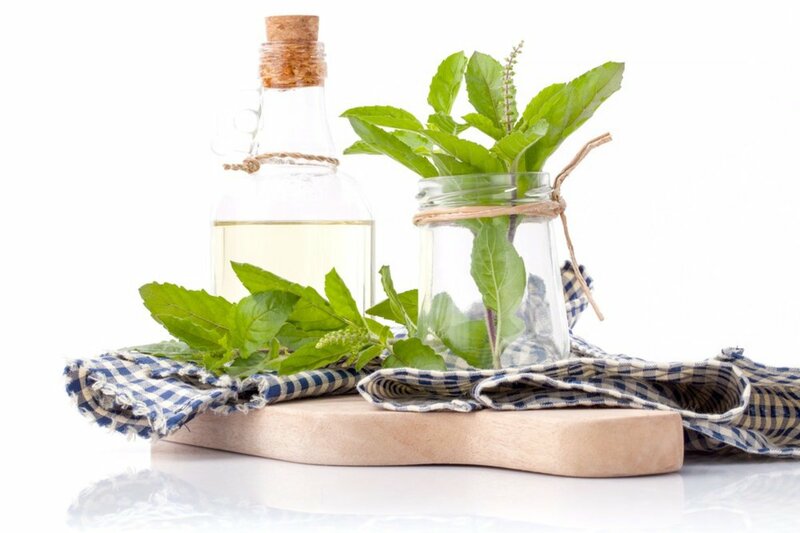 Polk suggests making tinctures to take advantage of holy basil benefits by placing one part fresh holy basil and two parts high proof alcohol in a glass jar with a tight-fitting lid. Five weeks in a cool, dry, dark place, and your tincture is ready. Used topically, some of the most powerful holy basil benefits are its antimicrobial properties. “Overall, holy basil is actually great for your skin, and when combined with other ingredients, like lemon juice, or mustard oil, it can help treat most skin irritations including acne, eczema and even ringworm,” says Feingold. Dr. Axe cites a study from Thailand, where holy basil was used to ward off bacteria that cause acne. “Essentially testing its antimicrobial capability, they discovered that a 3 percent concentration of holy basil oil is most effective against bacteria that cause acne,” he says. Another option would be to purchase a product: Cindy Jones, Ph.D, owns Colorado Aromatics, which sells a distilled holy basil spritzer made with Certified Naturally Grown holy basil. “We promote this spritzer to hydrate, tone and refresh the skin but find that its aromatherapy benefits also help to decrease stress, uplift the spirit and improve concentration,” she says. Holy basil&apos;s natural ability to relieve anxiety and stress naturally is one of our experts&apos; top picks for benefits. This may, in fact, be the most important -- and most evident -- of all of holy basil&apos;s benefits. "It&apos;s significantly antioxidant, but it&apos;s most enjoyed benefit is that it has a calming, tranquility producing, stress-reducing effect," says Chris Kilham, medicine hunter. 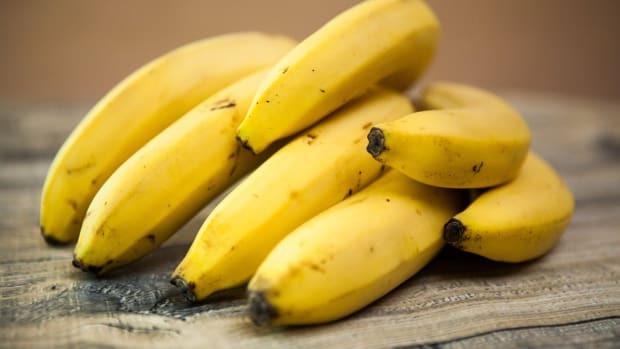 "And that&apos;s unique to the antioxidant compounds in this plant. Whereas let&apos;s say something like an apple, which is just loaded with antioxidants, you don&apos;t get a calming effect. Because that&apos;s not the activity of the antioxidants in apples." Holy basil&apos;s ability to reduce stress comes from its adaptogens. According to Polk, reducing stress isn’t just a matter of feeling better, it’s actually about being physically healthier. A host of physical ramifications of stress can then ensue, including digestive, cognitive, and even immune symptoms. “Holy basil is able to enhance the body’s natural response to any type of stress, decreasing the stress hormone levels that are pumped through our bodies,” she says. And according to Feingold, holy basil does not discriminate amongst stressors: from physical stressors like heat or cold to emotional stressors like a hectic schedule, all forms of stress can be relieved by this herb. “It is important to note, however, that holy basil does not alter moods, but rather helps optimize bodies functionality during times of stress,” she says. 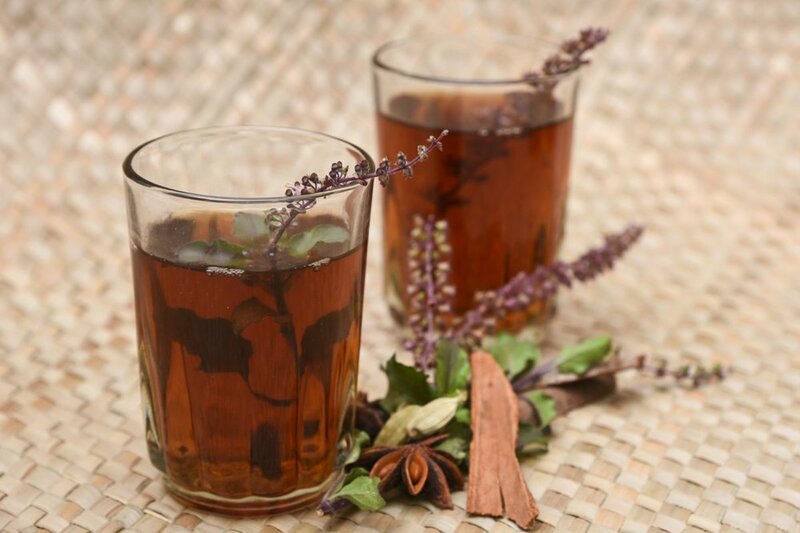 Holy basil tea is one of the best ways to reap these benefits, as the actual act of drinking the tea can have a calming effect while the adaptogens in the holy basil do their job. “It has been referred to as ‘liquid yoga’ because of this effect,” Tedrow explains. Nace also suggests Marma Therapy, a subtle form of acupressure, to reduce stress and take full advantage of the benefits of holy basil. Kilham, meanwhile, says that the best way to get the full benefits of holy basil is with a capsule of concentrated extract. "If you were to drink a cup of holy basil tea, you would feel a modest relaxation," he says. "If you had a capsule of concentrated holy basil extract -- made right -- you would notice a surprising relaxing effect." Due in part to its stress-relieving properties, holy basil can be used to reduce a tendency to binge eat and help control weight gain. Use holy basil in a tea or infusion to take advantage of this benefit, or use aromatherapy like sprays and spritzers to reduce appetite. Several studies show that holy basil can improve the health of your mouth, teeth, and gums, in large part thanks to its natural antimicrobial properties. 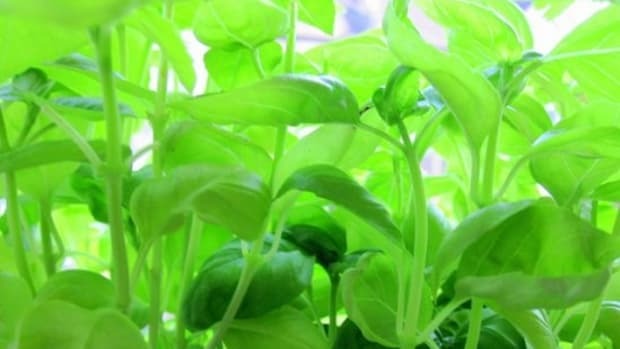 A 2016 study in the Journal of Indian Society of Periodontology showed that holy basil was effective in warding off periodontal pathogens, while a 2014 study in the Journal of Ayurveda and Integrative Medicine showed that holy basil was effective against dental plaque and gingival inflammation. Tedrow says that holy basil can be used as a mouthwash to treat bad breath, gum disease, and even mouth ulcers, thanks to its antimicrobial qualities. It can either be infused, as for a tea, and swished in the mouth, or a paste can be made with the leaves and the water, which can then be applied to affected areas. 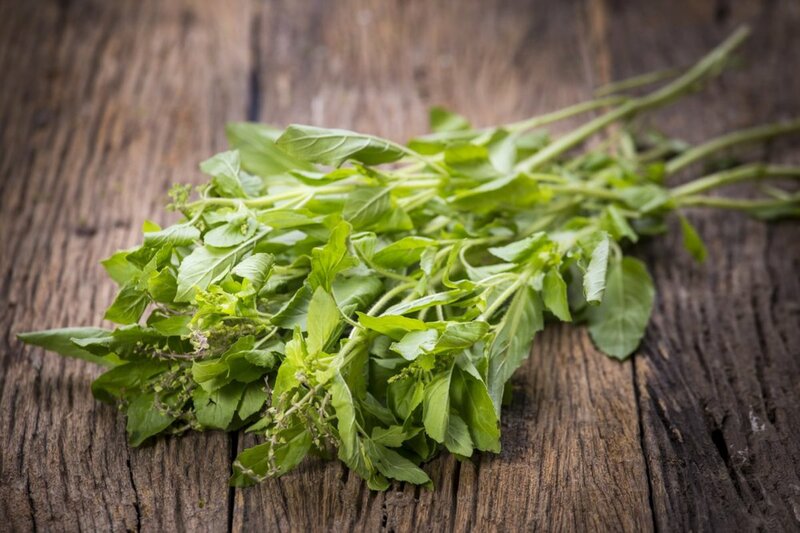 According to Steven Buchanan, managing director of Leaf Mother and a nutritionist specializing in herbal medicine, holy basil has proven effects on blood glucose levels. One of Leaf Mother’s botany scientists found that holy basil reduced blood glucose in diabetic patients in a clinical trial. This information is supported by a 1996 study in the International Journal of Clinical Pharmacology and Therapeutics that showed that holy basil could have a positive effect on those with noninsulin-dependent diabetes. An article published in Die Pharmazie also showed that holy basil may have an ability to regulate serum cortisol levels, which could contribute to its hypoglycemic properties. To take advantage of this property of holy basil, regular consumption of holy basil tea or extract gel capsules is the best way to go. Be sure to let your doctor know about the addition of holy basil to your regimen before getting started. What Does the Research Say About Holy Basil? As much as Ayurvedic medicine loves holy basil, and even though studies seem to prove many holy basil benefits, some experts just aren&apos;t convinced that we can really reap these advantages of the herb. Most Ayurvedic experts cite mental clarity and stress reduction as the most important and powerful characteristic of holy basil, but Buchanan notes that this is the benefit with the least amount of modern science backing it up. "Whilst there are no reputable studies supporting its use for mental clarity or preventing the common cold, there is new evidence demonstrating it to be useful as an antimicrobial, with a recently published study showing it to help prevent gingivitis and reduce gum bleeding," he says. 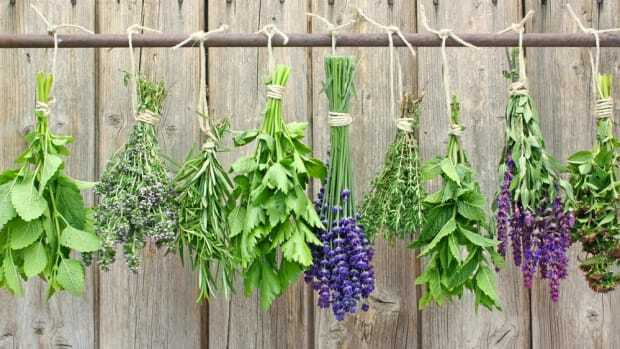 "Earlier studies have also shown the herb to help prevent oral and cervical cancers, and possibly other types of cancer (ref 3 & 4)." Tedrow, however, notes that there is a problem with applying these findings to daily life: it&apos;s tough to drink that much holy basil tea. “The problem with many of these studies is that that use very concentrated or high doses of the herb," says Tedrow. "Normal, everyday consumption of holy basil likely isn’t large enough amount to have the same effect." It is possible, if you consume holy basil properly, according to Buchanan -- that is, in concentrated form. 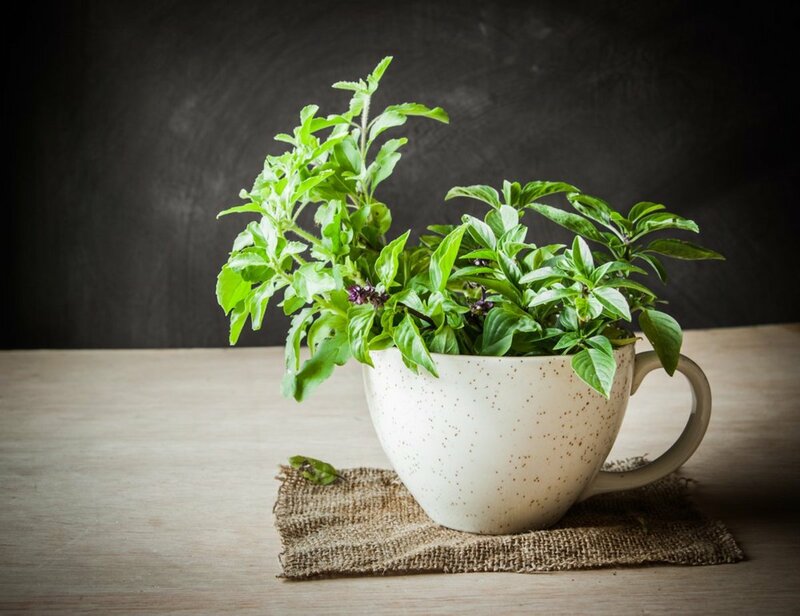 Ideally, holy basil should be consumed in concentrations ranging between 2-5 percent and above, which is possible with teas and supplements, to reap all of those holy basil benefits. Kilham, meanwhile, asserts that holy basil really is all that, even in small amounts. "That&apos;s how holy basil got its reputation in the first place," he says. "People using relatively moderate amounts were going... &apos;Wow -- this stuff is remarkable." In other words, keep drinking your holy basil tea and taking your supplements: they&apos;re working. The important thing the remember when choosing a holy basil supplement or tea is that not all products are created alike. Here are some expert-approve brands that you can feel good about and that will give you the most holy basil benefits. Feingold recommends Gaia Herbs - Holy Basil Leaf. 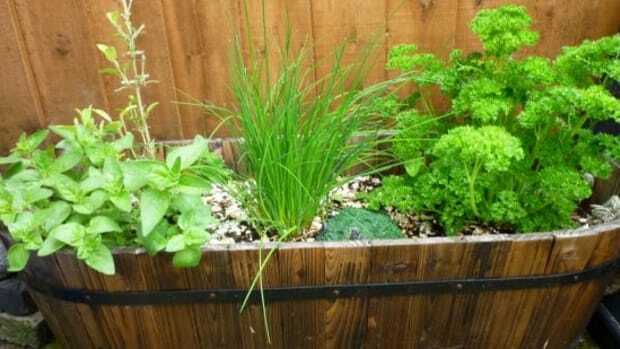 "I always recommend to invest in your herbs in supplements, and that you get what you pay for," she says. This dual-extracted supplement allows you to reap a full range of holy basil benefits. Kilham prefers Enzymatic Therapy Holy Basil Trinity Blend. This triple extract combines three different types of extract in a soft gel cap, which Kilham says is essential. "You&apos;re looking at compounds in the holy basil that are basically fats and oils, and need to be suspended in the carriers in a softgel cap," he explains, so you&apos;re getting the most varied holy basil benefits. Organic India is the non-GMO certified leading brand for tulsi supplements in the U.S.
Nace&apos;s Tulsi blend from her Sattvic Steeps line includes three species of holy basil as well as lemongrass, anise seed, ginger, coriander, and vanilla. "I often recommend this blend to people who have respiratory weakness, low immunity and susceptible to colds, flus, coughs or allergies." Buchanan recommends Organic India holy basil tea, which is also recommended by alternative medicine proponent Dr. Joseph Mercola. Aside from buying ready-made teas and supplements, you can also make holy basil tea at home. 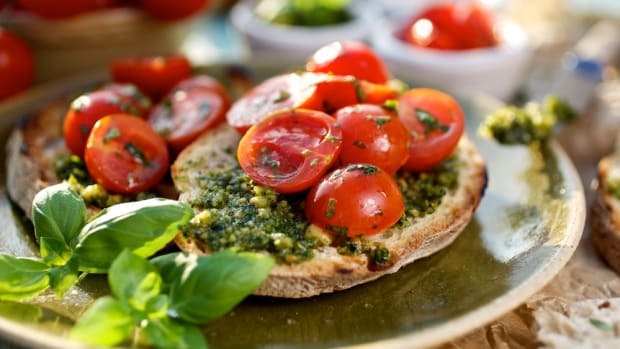 Feingold has a simple recipe that&apos;s quick and easy to make at home: just cover two teaspoons of fresh holy basil with one cup of boiling water, and steep for five minutes. Drain and serve to take full advantage of all of these holy basil benefits. However you decide to take advantage of holy basil benefits in your lifestyle, be sure to make it part of your daily routine. "Replacing the morning coffee with holy basil tea is ideal," says Buchanan. "The herb doesn&apos;t have the jitteriness that many coffee aficionados are all too familiar with, instead providing a more calm and relaxed mental clarity for the day." How about you? How do you take advantage of holy basil benefits on a day-to-day basis? Share your thoughts with us on Facebook or Twitter. 9 Natural Menstrual Cramp Remedies That Will Totally Change Your Life...Period! Oh My, Why Has My Basil Plant Turned Bitter?